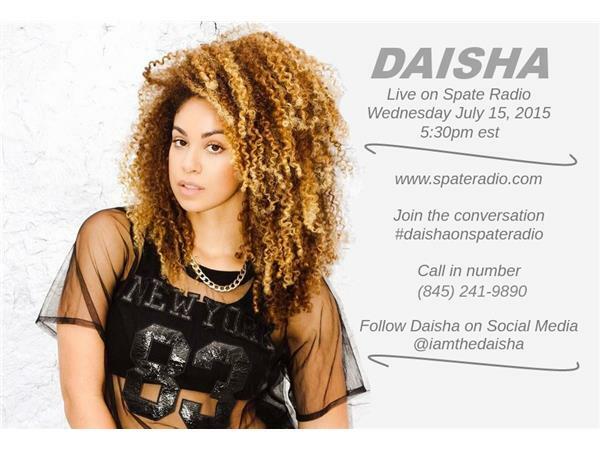 MBK artist Daisha will be calling into Spate Radio talking about her new single "Hiyah" and more. Daisha is a dancer and we will also speak on how her background in dancing has helped her build her music career. Daisha started with a back-up dance career that’s spanned some of the largest urban hip-hop, pop, and R&B acts in recent memory– Rihanna, Diddy, Ryan Leslie, Letoya Lucket, Santigold, Janelle Monae, Jill Scott and Beyonce to name a few.